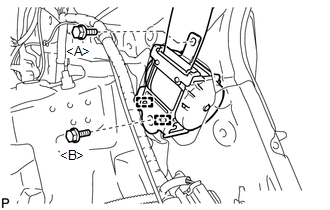 (b) Install the rear seat outer belt assembly with the 2 bolts. 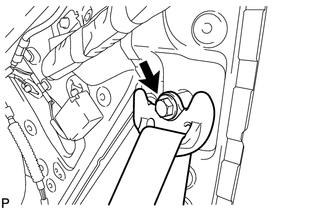 (c) Connect the shoulder anchor of the rear seat outer belt assembly with the bolt. (d) Check if the ELR locks. The check should be performed with the outer belt assembly installed. (1) With the belt assembly installed, check that the belt locks when it is pulled out quickly. (a) Connect the floor anchor end of the rear seat outer belt assembly and install the bolt. 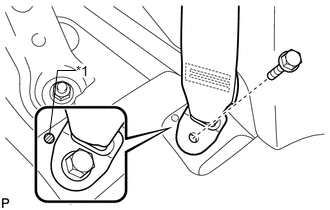 Do not allow the anchor part of the rear seat outer belt assembly to overlap the protruding part of the floor panel. 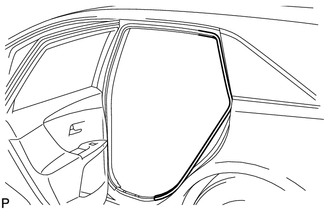 (a) Connect the rear door opening trim weatherstrip.